Hey guys, the Shootout is right around the corner and this year we'll be making the journey from Texas again with Samara, So whoever is interested in joining us along the way is more then welcome too. As usual we'll have our big GVR4 line up and unfortunately we cannot use cones that Friday up at Buschur Racing but we can still have a line up if we all show up early. So if you'd like to be apart of the line up try to get there early please. 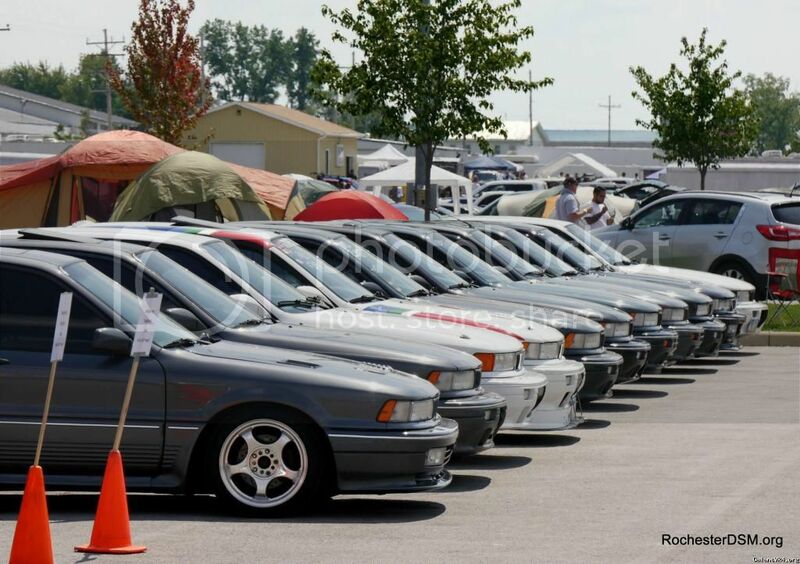 I spoke to David about saturday and Sunday and he said we have permission for those days to cone off 15 to 20 spaces for Galant VR4's in the spectator parking area. 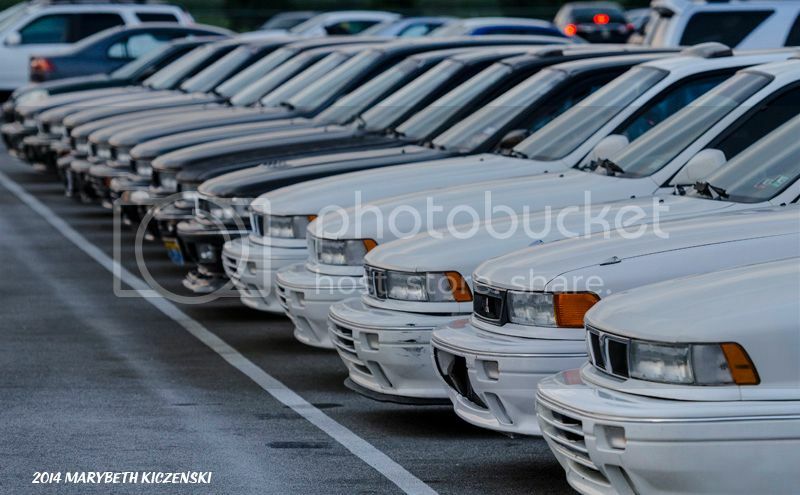 So if you can't make it friday and you have a Galant VR4, come look for the line up of them and join us. We're gonna be staying at the Super 8 in Milan ohio as its close to the track and also it's very cheap this year, it's only $315 for the whole weekend, so I highly recommend booking a room there because that's nearly 300 less than the previous years prices. Also, I'll be getting a photographer to do our shots again so don't worry about paying, I got you guys. If you wish to have your car in the pics, please make sure I have your number because it's extremely hard to communicate with you guys if I don't. Anyways here are some motivational shots of us from the previous years we've attended. And followed by that is all th Shootout info I copied from David. -FRIDAY, August 19th. 9 am-4pm, rain or shine. -Friday night test and tune Summit Motorsports Park, gates open at 5 pm, racing from 6pm-11pm. -FOOT TRAFFIC/bicycles only after 11 pm in the pits. NO pit bikes, gold carts, scooter or other motorized vehicles. The actions of a few ruin it for everyone. Friday cost for entry is $15 spectator, $25 race/qualify. Saturday, $15 spectator, $35 single day drag race, $65 Sat/Sun drag race, $65 Max Effort, $35 Autocross only. To calculate your multi-day wrist band cost, simply add up the cost of each option you want to do. Children 12 and under free. USA active duty/reserve military spectators free with ID. 3 day spectator fee is $42, three day drag racer fee is $90. Autocross is an additional $35 and Max Effort is an additional $65. ALL SPONSORS/VENDORS/RACERS will enter the track all three days from ROUTE 18. ALL spectators will enter from the ROUTE 601 side, the normal entrance. The return road will now have ONE exit to the pits very close to the ET boards or you will have the option of driving down in front of the grand stands and all the fans and re-entering the pits from under the grandstands. -SATURDAY, August 20th. Gates open from 9am-9 pm, RAIN or SHINE. -2nd round qualifier for ALL HEADS-UP drag classes at 7 pm. -Shootout Class legal vehicles are the ONLY vehicles permitted to race in the Autocross or Max Effort Classes. 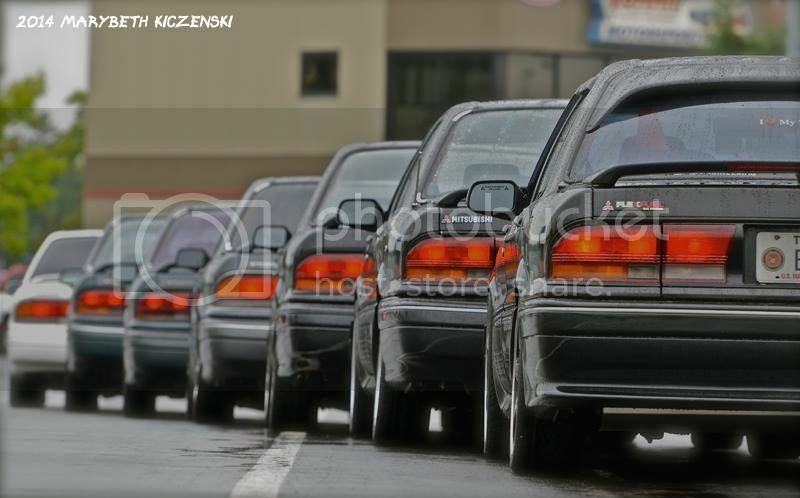 -The Max Effort class combines autocrossing and drag racing. The autocross and drags are held on Saturday for Max Effort. SUNDAY, August 21st. Gates open at 9 am-? rain or shine. -Summit Motorsports Park, Budweiser/pit side of the track. -Show up rain or shine, the rain date IF it rains out is the very next day, Monday the 10th. -FILL OUT YOUR TECH CARDS NEATLY AND COMPLETELY. Failure to do so will result in NOT receiving ANY prizes for your win!! Tech cards must be turned in at the rear of the staging lanes before you make your first pass. -NOBODY will be permitted along the track past 330' on the left side and past the 60' on the right side, there will be barricades. **SAFETY RULES WILL BE STRICTLY ENFORCED IN 2015! -Anyone running quicker than 13.99 will be subject to the rules below. 13.99-11.00: Helmet, jeans, shoes, long sleeved cotton shirt. 9.99 and quicker, APPROVED helmet, shoes and fire jacket. -Classes requiring full interior can have the rear seats removed if a roll bar/cage interferes with the installation. -Any Mitsubishi powered vehicle can run at the shootout as long as it has either the original engine in the car (Genesis Coupe, 420A, 1.8 liter Mitsu, 4B11T, Stealth-3000GT, 3 liter Mitsu V6 etc.) or is powered by any one of these Mitsu engines. Cars NOT powered by a 4G63 or 4B11T MUST run in either Bracket or Time Trials. -Tech for each class is done by your PEERS in your class. -Car must run FULL interior, back seats, front seats, full dash, door panels, wipers, carpet, center console, mirrors and factory glass. QUICK 32-Sponsored by FUEL INJECTOR CLINIC(Q32)-Anything goes as long as it is Shootout legal powered. -Full interior required, front race seats permitted. Rear seat delete permitted but must have TE OEM style replacement upholstery installed. -ANY turbo kit with a 58mm or less compressor inducer bore. AFTERMARKET INTAKE MANIFOLDS ARE OK.
-17" minimum sized rear wheel, 18" minimum sized front wheel. -Any car exceeding 165 mph will be subjected to a tech inspection. Car owner is responsible for pulling inlets off and making a clear and easy access point for a gauge to be inserted into the compressor cover to measure it. Failure to comply with the tech inspection will result in being disqualified. -ANY turbo kit with a 62.5mm or less compressor inducer bore. Turbos must be in stock location. AFTERMARKET INTAKE MANIFOLDS ARE OK.
-Any car exceeding 173 mph will be subjected to a tech inspection. Car owner is responsible for pulling inlets off and making a clear and easy access point for a gauge to be inserted into the compressor cover to measure it. Failure to comply with the tech inspection will result in being disqualified. -This is an anything goes class. The most powerful and quickest GTR's will be running in this class. -All GTR's in this class must have two front seats, door panels, factory dash. -Any tire can be run. -On your windshield you will put in large print, GQ32 followed by the number from your tech card. This is your class/car number for the day. I'll be there for the fourth year in a row, but I still haven't decided whether to take 740 or not. Bring Samara so I can drive her back to FL. Really thinking of bringing the GTR instead. But I don't know. wow your ten year shootout anniversary is the same weekend as your wedding. she must really hate these Mitsubishis. congrats on getting married though!! Am I being stupid or interpreting this wrong....but "stock appearing" class that used to be the 14b/16g turbo class....is now open to basically any "bolt in" turbo (like FP3065, FP3052, FP "colors") for DSM style cars, because for Evo....those turbos are built into stock style housings and this is just a change from Buschur under the area of "I don't feel like running Tech inspection"...and allows a DSM to compete with an Evo in one single "stock appearing" class? Basically...real street tire cars with bolt on turbo, stock intake manifold, and full street exhaust? EDIT: both of us have to slap a stock intake manifold on the cars. Hmm ... I have so many projects going on ... we will see Nate! i think since this is my first time to the shootout I would rather just sit back and take it all in !! Meet some people in person and basically just hang out! 431 won't be ready in time ! Can we get a count with Galant VR4's that will be there? The plan is to drive 1837 and 820 out. We'll see how that actually plays out, though. 1837 would definitely make the trip, but 820 is still JSB at the moment. Well so far the count is 14 including myself and 2 maybes. What hotels you guys staying at? We got two rooms up at Super 8. Cabin at the Milan Travel Park. Well, the Shootout is 2 weeks away, so who's in? I've got a hotel room booked, and so long as nothing crazy happens in the next 2 weeks, both 1837 and 820 will be there. How are things looking for you guys? still in. hopefully have my rebuilt turbo back in about a week, and I'm planning to spend lot of this week hammering away at new mods and repairs and upgrades. I'm in. You decide what you're bringing Mike? And do you want two more orange cones? Have two sitting in the garage getting in my way. still in with #418. 4bolt rear end went in this morning, my FP3176HTA arrived yesterday freshly rebuilt, and Im hoping to get some test hits in at Island on friday before leaving for Ohio next week. Are you driving the Galant out, Nate, or trailering it? I've been itching to get 1837 back to the track, but have been avoiding it the last few weeks so I don't break anything before the trip. I've got to ensure both 1837 and 820 will make the 12 hour round trip. I'd love to run Friday night for T&T at the Shootout, but can't afford a breakage that far from home. Driving my Chrysler Aspen with trailer...#418 will be sitting on the trailer. No way I would drive a dsm out to the shootout, race it, and expect to drive it home. no way. Is the car show (when all the VR4s taking pictues together) on Firday? Was considering going for that day since I'm less than 2 hours away. Generated in 0.144 seconds in which 0.012 seconds were spent on a total of 14 queries. Turbo powered.